10 Foot Container 8x10x8 Foot 6.7 square mt / 16.5 cubic mt 80 square foot This unit can fit the contents of a two bed flat or small house Archive boxes small business storage items and personal items for general use. 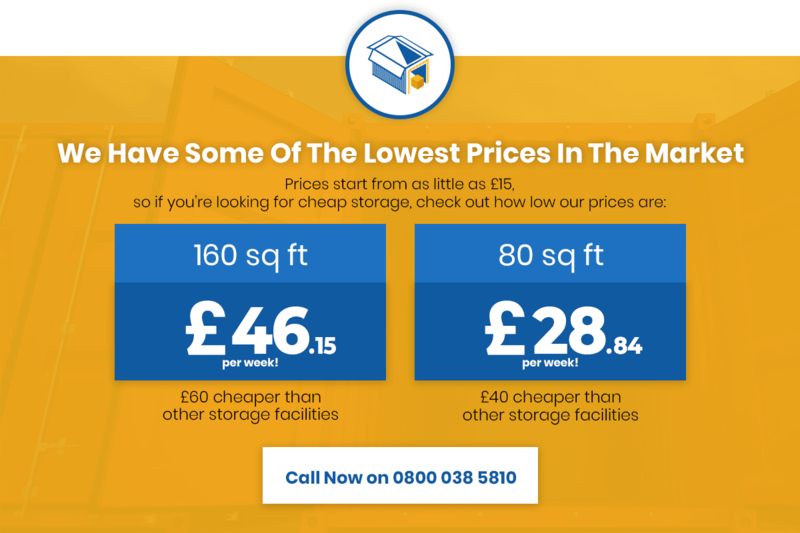 20 Foot Container 8x20x8 Foot 14.16 square mt / 33 cubic mt 160 square foot Cars will fit in this unit or the contents of a 4 bed house its also ideal for builders and small businesses looking to free up space and store things for use as required. We will also try to accommodate any custom sizes you may require if they are for long term hire and these can be manufactured to suit. We can also arrange for post boxes to be on site for any post to be delivered on request for small businesses or people overseas who are storing with us for a small fee. We can also store containers on request if required subject to us having spare capacity on site please call to discuss.